Al Sharpton’s already-damaged reputation is about to take another hit. The activist that nobody wants to hear from is once again sticking his nose where it doesn’t belong and this time, he’s attacking Ivanka Trump. 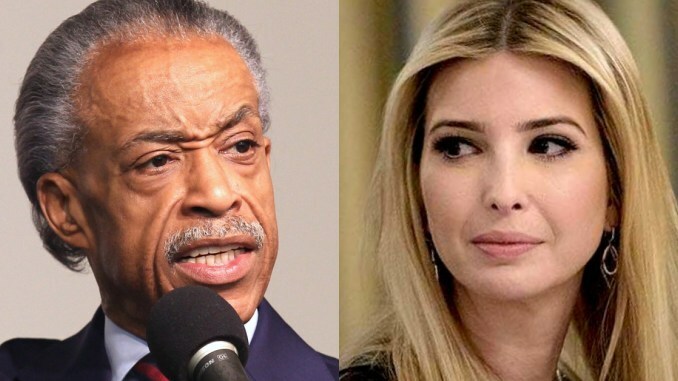 Sharpton railed against Ivanka being given a position in her father’s administration and compared her to Barack Obama’s daughters. “If President Barack Obama had given his daughters or his mother-in-law an office and some access to classified documents and cleared security status, they would have run him and everybody else out (of) the White House,” Sharpton argued. He was referring to Sasha and Malia Obama, and Marian Robinson, mother of Michelle Obama, who lived in the White House with the Obama family. Do you agree with Al Sharpton, or do you support Donald Trump?